Black Family Development, Inc. (BFDI) has partnered with the International Institute for Restorative Practices (IIRP), an accredited graduate school, to lead restorative practices initiatives in our region. BFDI and IIRP will work together to implement programs that have proven effective in reducing violence and increasing family and community engagement. Please consider making a bold and courageous decision to join us in developing a Restorative Practices environment in the City of Detroit. We will make a difference, and the time is now. The Black Family Development Inc. (BFDI) Restorative Practices (RP) program is a community-based initiative to implement restorative practices throughout the city of Detroit. This initiative will facilitate a Train-the-Trainer series with community partners who work with youth, parents and families. The initial targeted geographical areas will correspond to the six (6) Skillman Foundation’s Good Neighborhoods. Restorative Practices are evidencebased models, which include Circles, Family-Group Conferencing, Council of Sages, and Victim-Offender Conferencing. These models have been effective with (1) repairing and rebuilding relationships, (2) increasing problem-solving and conflict resolution skills. The restorative models provide a safe and nonjudgmental environment for all parties to express their feelings and emotional needs. 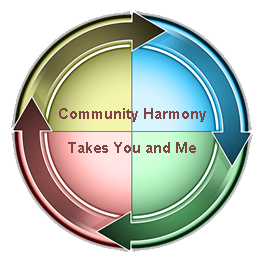 The dynamic of the circle process promotes healing, connectedness and identifies how the members and the community repair the harm together. The process facilitates collective accountability; balancing family, community and society without denying individual(s) responsibility. The philosophy of BFDI and the Restorative Practices (RP) program is that all community members are important, that they are all connected, sharing similar values and needs, and that it is this connection which will empower members to seek transformation. Restorative approaches draw on these similarities to strengthen and rebuild relationships with youth, families and communities that have been harmed in some way. BFDI and the RP program believe that people need and value human connectivity. Circles promote the transformation from “I” to “Us” approach.